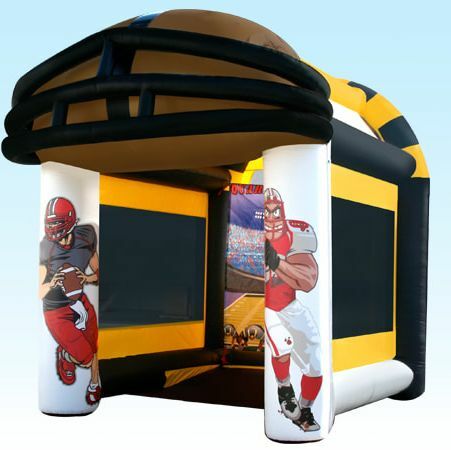 ​Are your throwing skills good enough to win this huge, inflatable game? A 20' x 20' area is required. Test your kicking accuracy with this fun, inflated challenge! See how fast you can throw. If you guess your speed on the third throw, you win! Dual basketball challenge that is great for all ages! Blast the pirates with the air cannons. Protect your loot - fun for all ages! A 15' x 8' x 9' area is required. you can add up in your "fight". A 10' x 20' area is required. 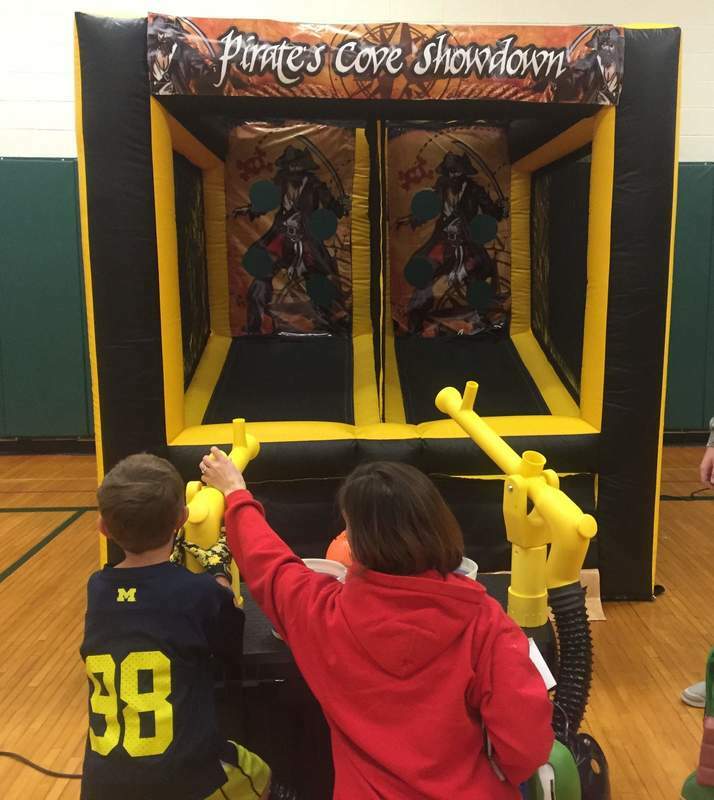 A new addition to our popular sports games! Play for competition or just for fun. Another addition to entertain older children and young adults. A showy life-size buck, safety bows and Velcro darts. 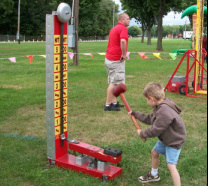 Our 5' Hi-Striker is perfect for your 10 and younger crowd. A 10' x 10' area is required. 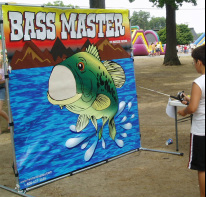 adults will love this game - hook, line and sinker. onto the playing field for a chance at a hole-in-one! *Prices do not include Michigan Sales and Use Tax nor the 5% Damage Waiver. Delivery of orders over $300.00 are available - ask for a quote.